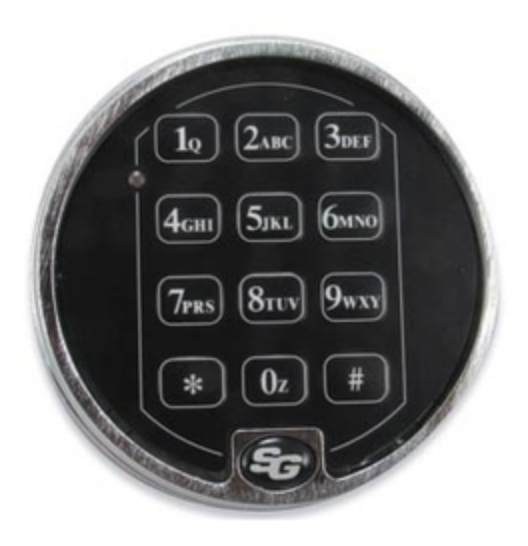 The Safe house offers these instructional documents to assist customers with opening and changing the combination on assorted mechanical and electronic locks. Please contact our Safe House representatives if you have additional questions or need assistance. 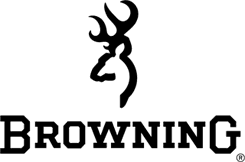 We are available 9 to 5 CST , Monday – Friday at 615-255-0500.
the lock, it is important to view the dial and ring straight on. number even slightly, begin the entire dialing procedure again. The lock is now open, You may now turn the handle and open your safe. The combination lock on your safe conforms to the requirements of Underwriters Laboratories Group 2 Combination Lock Specifications. This assures that you have a highly tested and secure lock. UL specifies that the combination should not open if the numbers are dialed more than 1 numbers from that set by the manufacturer or user. This makes it difficult for unauthorized people to open the lock. This also means that if the combination is not “centered” in this tight range, the lock will not open or will open only occasionally. Dial all the first three numbers on the combination one number higher, and if this does not work, one number lower. Fore example, if the combination is 20-40-60-87, try 21-41-61-87. If this does not work, try 19-39-59-87. Dial the combination by adding one number to the first number, subtracting one from the second number, and adding one to the third number. If this does not work, try the same procedure but use 2 numbers. One of the above approaches should work. Please change the appropriate number(s) on the combination card, and the lock should continue to work properly from then on. Please note , to change a combination on a mechanical lock you must obtain a change key that is inserted in the back of the lock before dialing the new combination. 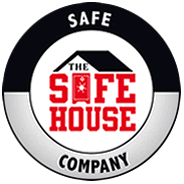 The Safe House Service Team can provide this service for you within our service area in Nashville and Knoxville TN. PLEASE NOTE: WE DO NOT SELL THE CHANGE KEYS TO CHANGE MECHANICAL LOCK COMBINATIONS. As mentioned previously, the master code can perform all programming functions for the 6120 lock. The master code can be changed, but the lock will not allow you to delete it. The factory default master code is 1 2 3 4 5 6 #. We strongly suggest you change it to a six-digit code of your own choosing before storing anything of value in your safe. Only the holder of the master code can change the master code. Step 5 Record your new code and keep for future reference. 2 – 8 User Codes Notes: The Master Code cannot be deleted. CHANGE COMBINATION NOTE: Each combination must be changed independently at the Lock. New combination will not be accepted if it varies from the current combination by only one digit (+/-). When selecting a combination, do not use a birthday or other predictable information that could give correlation between the user and the combination. CAUTION: Always perform this operation with the door open, and test the opening of the Lock with the new combination several times before closing the door. 1. Enter zero  six times. Ex. (0-0-0-0-0-0) 2. Enter an existing combination. Ex. (1-2-3-4-5-6) 3. Enter the NEW combination. Ex. (6-5-4-3-2-1) 4. Re-enter the NEW combination to confirm Ex. (6-5-4-3-2-1) The NEW combination is now active. 5. Test lock operation several times before closing the door. Note: If your lock is opening on every turn of the knob or lever, except upon entering a code, this may be a ZERO CODE. Before attempting to remove the lock from the door, refer to the troubleshooting procedures outlined at bottom of this document for a zero code symptom/solution. Read the instructions through once before attempting to change the combination. The factory pre-set combination is 2 and 4 pressed simultaneously (and released), then press 3 (and release). Turn the control knob to the left (counterclockwise) to the stop position and release (see figure 1). This clears the lock of previously used buttons. Enter the existing combination. Make sure you depress each button fully and release. Push down the combination change slide on the back side of the lock. Located at the end opposite control knob (see figure 2). Turn the control knob to the left (counterclockwise) to the stop position and release (see figure 1). This clears the old combination. Select a new combination, write it down. Some or all of the buttons may be used for your new combination—pressed individually or simultaneously. Each button may be used only once. We do not recommend the use of a one- button combination. Enter your new combination. Depress each button fully and release it. You must feel a click each time you press a button to know that the button was fully depressed (see figure 3). Turn the control knob to the right (clockwise) to the stop position and release to activate the new combination (see figure 4). Enter new combination and test operation. Do not force at any time. If a wrong combination is entered while operating the lock, turn the outside thumbturn to the left (counterclockwise) to the stop position and release. This will clear any previously depressed buttons. Enter in the correct combination.TroubleshootingSymptom/problem: Turning outside thumbturn clockwise always retracts latch without depressing any buttons.Cause: Lock is in zero combination. Solution: Follow the procedure for setting a new combination except omit step 2.